To celebrate the 1000th member joining our Facebook group, I’m giving away this rare book to one lucky person! 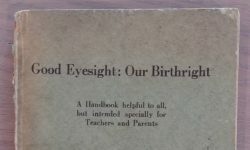 After Dr. Bates pioneered modern natural vision improvement methods with his landmark book in 1920, there were dozens of books that quickly followed. Some were ok. Some were lousy. Some were great. This is short, but it’s still one of the great ones! Open to anyone with a US or APO shipping address. If you live outside the US, I can ship to a US-to-international shipping service such as MyUS or USGoBuy. You will be added to our email list. Unsubscribe at any time. 3/29/18 – Congrats to the winner, Jennifer M of Freeport, ME! I hope the winner scans it in and shares it with us losers. I was considering scanning it in if I were to win it but I lost. Anyway thanks for the contest it was nice to have a chance at winning this awesome prize. I am sure there is some student who could do the scanning for US / You for the benefit of the global natural vision movement, gathering momentum. Above you mention – some very good books. Have you got a must read list ? when i started providing vision fitness workshops i came a cross or attracted some interesting books provided by interested members of the public . In particular two translated from Spanish. Dealing with after imaging colour circle opposites and clarity even after imaging impact of less than a second. don’t remember who the author was. I have been without glasses for 45 years now. my website is under revision right now. Cape Town. It’s funny… I was just thinking that I haven’t had the need for glasses and I’ll be 48 this year. I would love to win this gem of a book for further insights on the subject. Kindly share your experience regarding successfully getting rid of spectacles and remaining so subsequently. I am keen to learn from your experiences for myself and my child. If the same are available on a website please provide the address. I share Shikha’s thoughts. You could just ask aroud and somebody in 1000+ grouph could be having a scanner and OCR, and might be willing voulunteer the scanning effort. Beyond that, I am ready to edit the typos if editable text (OCR) is passed on to me. I don’t want to pressure the winner into doing it, but it’s a good idea, and I think what I’ll do is send an email out suggesting it if the winner loves the book, shortly before I draw the winner. Thanks, David. Your continuing work to keep the iblindness site and the Facebook page running is a gift to us all, and I for one appreciate it enormously. You may scan using Camscanner. Take pictures in sunlight. It improves picture quality and is easy. Actually, I am keen on going through it. My six year old daughter’s vision has not developed. I also request you to share your experience about vision improvement. 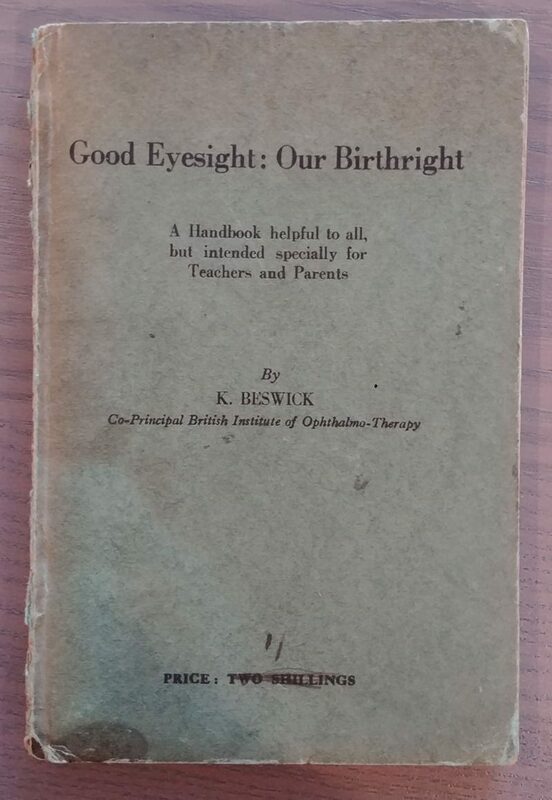 Rather than give away the rare book on improving vision to one lucky winner why not scan it (it appears to be a thin book) and provide it free to all members or anyone wishing to join the group? That is how I got a copy of Dr. Bates book from you! Hi Shikha, I might scan in my other copy at some point, but I’ve done that before, and it’s a lot of work I’d like to avoid! Next Next post: I Have To Improve My Vision Now!